There are few things in life that are certain – death, taxes, and craving a delicious Freshslice pizza at odd hours of the day. 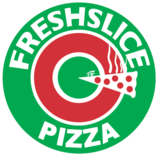 The universal appeal of pizza isn’t a secret to anyone, but not many know that Freshslice, the celebrated pizza experts in Vancouver, BC are now delivering to over 70 different locations. Yes, the award-winning pizza makers are bringing high-quality food and top-notch services to your city. And for anyone looking for pizza delivery near me, you have come to the right place. Now all your late-night cravings will be fulfilled with a mouth-watering, and delicious Freshslice pizza. 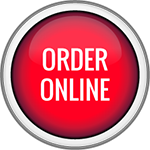 All you need to do is search for pizza places near me and find a healthy and great value pizza for eat-in, take-out, delivery, and Take N’ Bake at Freshslice. So, what are you waiting for? Fulfill all your pizza cravings, because the best pizza in town is near you. Freshslice offers you with better taste and better value, so get cracking and search for pizza places near you right here!